At The Boerst Law Office, our clients come first. Every client is treated with courtesy and can expect effective and individualized representation. Our integrity has earned us a reputation as one of Ohio’s premier legal practices. Our consistent track record of uncompromising ethics instills confidence and trust. We use cutting edge technologies that allow us to respond quickly, and give you the most relevant information and perspectives. We are dedicated to achieving the best outcome for every client. When you need an advocate the most, it is imperative that you hire a caring professional who can help make all the difference. The Boerst Law Office prides itself upon hard-work and commitment to its clients’ needs. 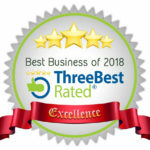 The Boerst Law Office has established a reputation for high-quality legal representation, results-oriented service, and a trial-ready approach. Bruce W. Boerst Jr., Esq. 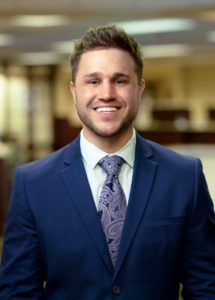 Regarded by some as the “work hard/play harder” of the legal profession, Bruce gained fame (or, so he thinks) as having become one of the youngest attorneys in the State of Ohio. He began his legal career at the young and eager age of 23 yrs. old. While he won’t believe you, he is no longer 23. He is, well, let’s say “seasoned” now. Regardless, Bruce displays everlasting energy, unmatched competitiveness, and an unwillingness to sit the sidelines during any thrill-seeking and/or challenging adventure. 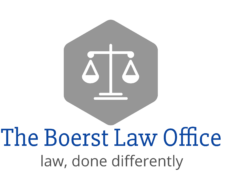 After working many years for a large law firm, and having eventually come to the conclusion that working in a law firm is not fun, he started The Boerst Law Firm in 2009 with the modestly stated ambition of completely changing the way law is practiced. Apart from his well-deserved reputation as a shameless self-promoter, Bruce is actually a lawyer too. His unparalleled achievements are in serious Personal Injury Litigation and Criminal Defense (including OVI/DUI Defense). What sets Bruce apart? 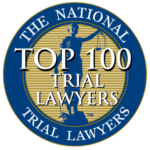 You’ll know exactly why he is the “Best of the Best” and a NTL “Top 100 National Trial Lawyer” and “Top 40 Under 40” the moment you step foot into his Firm. You’re not treated like a “client”. Rather, you’re treated like a close family member/friend and are immediately overcome with the feeling of security and importance. Bruce was not spoon-feed. His parents weren’t lawyers. He wasn’t given a law firm. He understands the value of the money he charges you. Bruce grew up with limited means to two parents who made him work for everything he received. (Thank you, Mr. & Ms. Boerst). Bruce often reminds me of the times, back in his college-days, when he would scrounge for change in his 1989 Buick Park Ave, with 280,000 miles, in order to pay for a fast-food cheeseburger. As managing partner of The Boerst Law Firm, Bruce is treated by all of the staff with a complete lack of respect, just the way he likes it. He says he’s “happy as a clam” and only regrets that he never got the chance to see Freddie Mercury perform live. In order of importance: He is a God loving man. He is proudly 5th in charge of his household, consisting of his beautiful bride, 2 beautiful daughters and one extraordinary Son. He is relentless. He is tireless. He should be your attorney. If not, you’ll wish he was. At The Boerst Law Firm, law is done differently. – Authored by JCP, with great pleasure. Bruce W. Boerst Jr. is committed to providing you with top notch legal support. He approaches every client with a focus on integrity, advocacy, and understanding. Mr. Boerst earned his B.S. from Ohio University in 2006 and his J.D. Degree from the University of Dayton School of Law in 2008. Mr. Boerst immediately joined a mid-sized Ohio firm, where he worked tirelessly fighting for justice and the right to trial by jury. There, Mr. Boerst represented individuals who were being charged criminally as well as individuals who were seriously injured in accidents or by defective products. Mr. Boerst believed that by leaving the larger firm, he could be more effective in helping people deal with a variety of legal issues. In 2009, Mr. Boerst moved his practice to Toledo, Ohio. Since then, Mr. Boerst has represented numerous business and individual clients throughout the State of Ohio. The freedom to choose the individuals and businesses he wishes to represent has allowed Mr. Boerst to fully realize his passion for helping people at all levels of litigation and protection. Mr. Boerst is active in a number of professional organizations including the American Bar Association, the Ohio Bar Association, the Toledo Bar Association (Court Committee Chair), the Dayton Bar Association, and Ohio Association for Justice (formerly The Ohio Academy for Trial Lawyers). Mr. Boerst speaks at legal conferences and instructs fellow attorneys on Mass Torts, Personal Injury Litigation, Deposition Tactics, Law Practice Management, Social Media, Ethics, etc. Mr. Boerst dedicates much of his time volunteering for his community and believes in taking personal responsibility for the well-being of one’s community. Bruce is an avid hunter and prefers to spend his free time outside. Practice Areas: Personal Injury, Criminal Defense, Divorce/Dissolution, Products Liability (Mass Torts), Real Estate & Business Litigation.